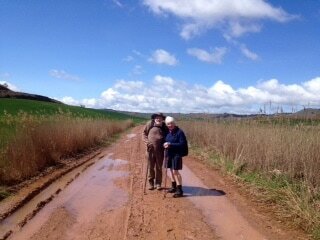 ​Last year when Enda and Jerard walked the Camino Frances they produced an online daily journal of their pilgrimage. The journal attracted a number of followers. 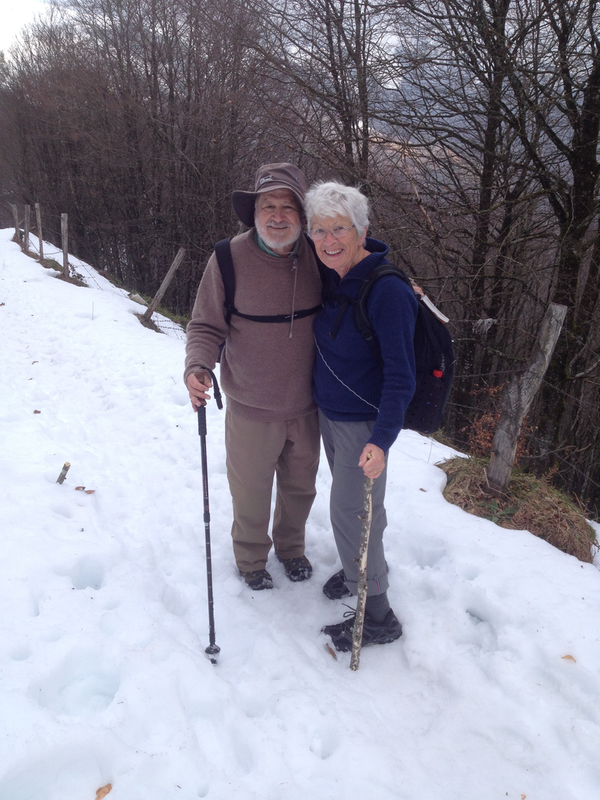 Like so many other Camino pilgrims who benefit from walking the Way of St James, Enda and Jerard decided to undertake a second Camino pilgrimage. This one through France is known as “Chemins de Compostelle” starting in Le Puy-en-Velay and finishing in Saint-Jean-Pied-de-Port. Followers of last years journal must have enjoyed it as many requested another for this pilgrimage. The journal entries are made each day, unless delayed by lack of WIFI facilities. These comprise interesting, sometimes whimsical incidents, the odd photograph, observations and spiritual thoughts or prayers inspired by walking in the footsteps of earlier pilgrims. At present Enda and Jerard anticipate starting the walk from Le Puy on March 28, however this depends on the depth of snow in the Central Massif of France. You are invited to journey with them in both spirit and prayer and make it your pilgrimage a well. 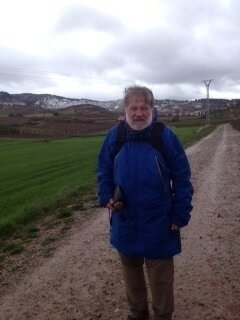 Should you follow their pilgrimage and feel you have benefited, you may care to make a donation to St Vincent de Paul. Details of how you do this online are given under donate on this site. Come and follow our daily journal. Here you can leave messages of support for Enda and Jerard. Be sure to check out the archive folder to view older journal entries. The Camino route is 733km in length, marginally shorter than their 2016 Camino Frances route. However, the route reportedly is a little more difficult and pilgrims are nowhere near as numerous. The pilgrimage route starts in Le Puy-en-Velay in Eastern France and finishes near the Spanish border in the town of Saint-Jean-Pied-de-Port. 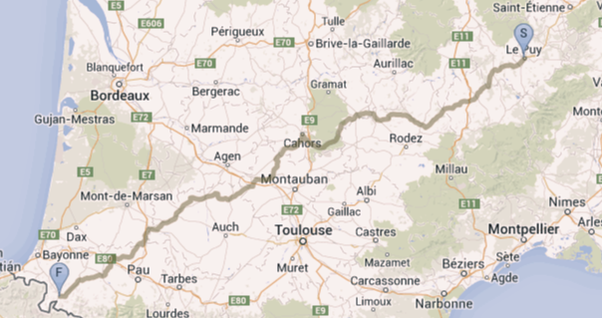 This is where their 2016 Camino Frances commenced. 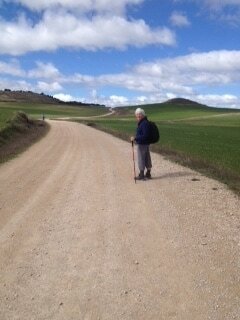 The Camino Frances crosses Spain and finishes in Santiago de Compostela.